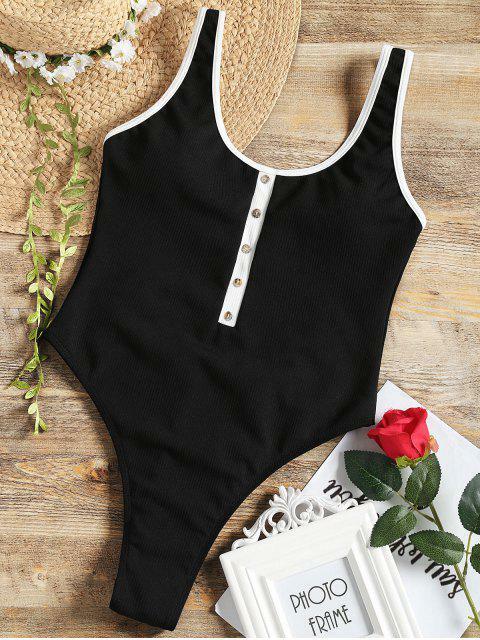 [17% OFF] 2019 Faux Button Ribbed High Cut Swimsuit In BLACK | ZAFUL ..
Great material and size. Super cute and Fits well. I’m 5’7 and I could’ve ordered a medium, but the large fits very nicely. What a distinctive one-piece swimwear, which takes a ribbed texture on the fabrics, faux buttons are designed at the front for an embellishment, and high cut leg on the thighs for a flattering and charming look.